He told the BBC:”The development of full artificial intelligence could spell the end of the human race.” His warning came in response to a question about a revamp of the technology he uses to communicate, which involves a basic form of AI, but others are less gloomy about AI’s prospects. The theoretical physicist, who has the motor neurone disease amyotrophic lateral sclerosis (ALS), is using a new system developed by Intel to speak. Machine learning experts from the British company Swiftkey were also involved in its creation. Their technology, already employed as a smartphone keyboard app, learns how the professor thinks and suggests the words he might want to use next. Prof Hawking says the primitive forms of artificial intelligence developed so far have already proved very useful, but he fears the consequences of creating something that can match or surpass humans. “Humans, who are limited by slow biological evolution, couldn’t compete, and would be superseded.”, but others are less pessimistic. “I believe we will remain in charge of the technology for a decently long time and the potential of it to solve many of the world problems will be realised,” said Rollo Carpenter, creator of Cleverbot. Cleverbot’s software learns from its past conversations, and has gained high scores in the Turing test, fooling a high proportion of people into believing they are talking to a human. Mr Carpenter says we are a long way from having the computing power or developing the algorithms needed to achieve full artificial intelligence, but believes it will come in the next few decades. “We cannot quite know what will happen if a machine exceeds our own intelligence, so we can’t know if we’ll be infinitely helped by it, or ignored by it and sidelined, or conceivably destroyed by it,” he says, but he is betting that AI is going to be a positive force. Wi-Fi has become ubiquitous in homes and businesses thanks to the way anyone can set up their own network and start connecting up gadgets. Before long you may be similarly free to set up your own network to serve nearby smartphones using the high-speed LTE protocol currently exclusive to cellular networks. That would allow your home router or a business like Starbucks to offer fast LTE connections to mobile devices. It could create new competition for conventional cellular networks, giving consumers more ways to get high-speed data and pushing down prices. Internet service providers or other companies could build this new version of LTE into cable boxes or other home devices to create their own high-speed mobile data networks. This new version of LTE is being developed and tested by mobile chip company Qualcomm and is called MuLTEfire. It encodes data in the same way as the LTE technology used by cellular networks today, but is designed to be used over the same part of the radio spectrum as Wi-Fi and has roughly the same range. The company says it can provide faster, less glitchy connections than Wi-Fi because LTE was developed for cellular networks where performance and reliability is more crucial. MuLTEfire opens new possibilities because the radio bands that Wi-Fi uses are not reserved for the exclusive use of any company. LTE is used today only by cellular networks on radio bands licensed from governments at costs of millions or billions of dollars. MuLTEfire is also different in that—as with Wi-Fi—a MuLTEfire hotspot can serve any device, regardless of which cellular carrier it is a subscriber to. Matt Grob, Qualcomm’s chief technology officer, says his company’s proposal could help satiate people’s still-growing demands for mobile data, and allow alternatives to conventional cellular networks to appear. Qualcomm’s proposal is a more radical extension of a technology called LTE-U that is just beginning to be tested by the telecom industry. It allows cellular operators but no one else to use LTE in the same bands as Wi-Fi. Grob says MuLTEfire is more useful because a hotspot can serve any person’s device and be set up by companies that don’t own spectrum. He expects companies such as McDonalds that operate public Wi-Fi networks to install MuLTEfire hotspots to provide their customers faster and more reliable connections. Grob predicts the technology will also be attractive to cable Internet providers and computing companies such as Google and Amazon that have shown an interest in trying to create networks that compete with those of cellular operators. Last summer, Comcast switched 150,000 cable boxes in Houston into one giant network to offer Internet connectivity to any Comcast customer’s phone or computer. Google recently launched a low-cost cellular plan, called Project Fi, that hops opportunistically between Wi-Fi and the networks of Sprint and T-Mobile (see “Google’s New Wireless Service Should Make Verizon and AT&T Squirm”). Plans like those would be easier to pull off with MuLTEfire, says Grob. It inherits features from LTE’s cellular heritage that are designed to minimize interference and allow devices to smoothly hop between different base stations. “If your plan is to stick together resources and make a ubiquitous network, you care about performance and need a little more fidelity,” he says. Phil Marshall, at telecom analyst Tolaga Research, in Newton, Massachusetts, says using MuLTEfire for schemes like that is plausible. It would increase competition for existing cellular network operators and potentially be good for consumers. “You’re creating a means for players to start offering competing services without necessarily having spectrum licenses,” he says. Marshall predicts that venues such as shopping malls, airports, and stadiums would be likely to install their own MuLTEfire hotspots to improve coverage nearby. Cell networks already put small base stations in such places, but each can only serve customers of one network. If an airport rolled out MuLTEfire hotspots, it could serve anyone—although perhaps only if their cellular provider had paid to get its customers access. Cell networks could have a lot of gain from deals like that—and from rolling out their own MuLTEfire hotspots, says Marshall. They sometimes have to partner with competitors to provide coverage in places they don’t have much spectrum or infrastructure. Being able to use MuLTEfire could reduce the need for such arrangements. However, Qualcomm’s proposal still has a ways to go. MuLTEfire will need the stamp of a wireless standards body before Qualcomm or anyone else can start building chips or other hardware to support the technology. The job of distinguishing the most creative from the others falls to art historians. And it is no easy task. It requires, at the very least, an encyclopedic knowledge of the history of art. The historian must then spot novel features and be able to recognize similar features in future paintings to determine their influence. Those are tricky tasks for a human and until recently, it would have been unimaginable that a computer could take them on. But today that changes thanks to the work of Ahmed Elgammal and Babak Saleh at Rutgers University in New Jersey, who say they have a machine that can do just this. They’ve put it to work on a database of some 62,000 pictures of fine art paintings to determine those that are the most creative in history. The results provide a new way to explore the history of art and the role that creativity has played in it. Several advances have come together to make this advance possible. The first is the rapid breakthroughs that have been made in recent years in machine vision, based on a way to classify images by the visual concepts they contain. These visual concepts are called classemes. They can be low-level features such as color, texture, and so on, simple objects such as a house, a church or a haystack and much higher-level features such as walking, a dead body, and so on. This approach allows a machine vision algorithm to analyze a picture and produce a list of classemes that describe it (up to 2,559 different classemes, in this case). This list is like a vector that defines the picture and can be used to compare it against others analyzed in the same way. The problem of determining the most creative is then one of working out when certain patterns of classemes first appear and how these patterns are adopted in the future. “We show that the problem can reduce to a variant of network centrality problems, which can be solved efficiently,” they say. In other words, the problem of finding the most creative paintings is similar to the problem of finding the most influential person on a social network, or the most important station in a city’s metro system or super spreaders of disease. These have become standard problems in network theory in recent years, and now Elgammal and Saleh apply it to creativity networks for the first time. Many art historians would agree. “In most cases the results of the algorithm are pieces of art that art historians indeed highlight as innovative and influential,” say Elgammal and Saleh. An important point here is that these results are entirely automated. They come about because of the network of links between paintings that the algorithm uncovers. There is no initial seeding that biases the search one way or another. Thiel Foundation startup Medella to build smart contact lens. Posted by cyborg at 4:23 am	Tagged with: Smart contact lens, Thiel Foundation startup Medella to build smart contact lens. An ambitious project by Hewlett-Packard to use an electronic device for storing data called the memristor to reinvent the basic design of computers may be delayed. 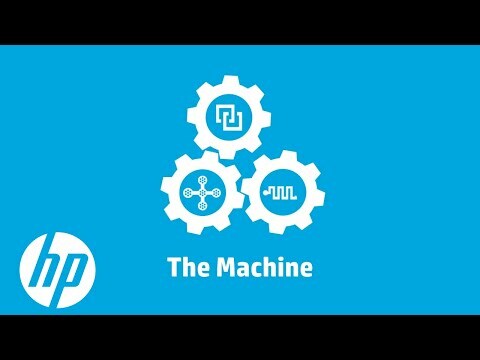 This week HP chief technology officer Martin Fink, who started and leads the project, announced a rethink of the project amidst uncertainty over the memristor’s future. Fink and other HP executives had previously estimated that they would have the core technologies needed for the computer they dubbed “the Machine” in testing sometime in 2016. They used the timeline at the bottom of this post to sketch out where the project was headed, but the New York Times reported yesterday that the project has been “repositioned” to focus on delivering the Machine using less exotic memory technologies–the DRAM found in most computers today and a technology just entering production called phase change memory, which stores data by melting a special material and controlling how it cools. The sport of training software to act intelligently just got its first cheating scandal. Last month Chinese search company Baidu announced that its image recognition software had inched ahead of Google’s on a standardized test of accuracy. On Tuesday the company admitted that it achieved those results by breaking the rules of that test. The academic experts who maintain that test say that makes Baidu’s claims of beating Google meaningless. Ren Wu, the Baidu researcher who led work on the software in question has apologized and said the company is reviewing its results. The company has amended a technical paper it released on its software. We don’t know whether this was the action of one individual or a strategy of the team as a whole. But why a multibillion dollar corporation might bother to cheat on an obscure test operated by academics on a voluntary basis is actually quite clear. Baidu, Google, Facebook and other major computing companies have spent heavily in recent years to build research Baidugroups dedicated to deep learning, an approach to building machine learning software that has made great strides in speech and image recognition. These companies have worked hard to hire leading experts in the small field – often from each other (see “Is Google Cornering the Market on Deep Learning”). A handful of standardized tests developed in academia are the currency by which these research groups compare one another’s progress and promote their achievements to the public. Baidu got an unfair advantage by exploiting the test’s design. To get your software scored against the ImageNet Challenge you first train it with a standardized set of 1.5 million images. Then you submit the code to the ImageNet Challenge server so its accuracy can be tested on a collection of 100,000 “validation” images that the software has never seen before. The Challenge rules state that you must only test your code twice a week, because there’s an element of chance to the results. Baidu has admitted that it used multiple email accounts to test its code roughly 200 times in just under six months – over four times what the rules allow. Oren Etzioni, CEO of the Allen Institute for Artificial Intelligence, likens what Baidu did to buying multiple lottery tickets. “If you get to buy two tickets a week you have a certain chance if you buy 200 a week you have more of a chance,” he says. On top of that, testing slightly different code over many tests could help a research team optimize its software for peculiarities of the collection of validation images that aren’t reflected in real world photos. Such is the success of deep learning on this particular test that even a small advantage could make a difference. Baidu had reported it achieved an error rate of only 4.58 percent, beating the previous best of 4.82 percent, reported by Google in March. In fact, some experts have noted that the small margins of victory in the race to get better on this particular test make it increasingly meaningless. That Baidu and others continue to trumpet their results all the same – and may even be willing to break the rules – suggest that being the best at machine learning matters to them very much indeed.